Driving can become almost mechanical when you have been doing it long enough. For beginners though, it can be quite challenging and traffic can be extremely intimidating. Fellow commuters aren’t very kind to newbies either, and the pressure seems to mount from that. There are many ways you can mess up your car when you are on the road and you can come off feeling extremely foolish because of it. 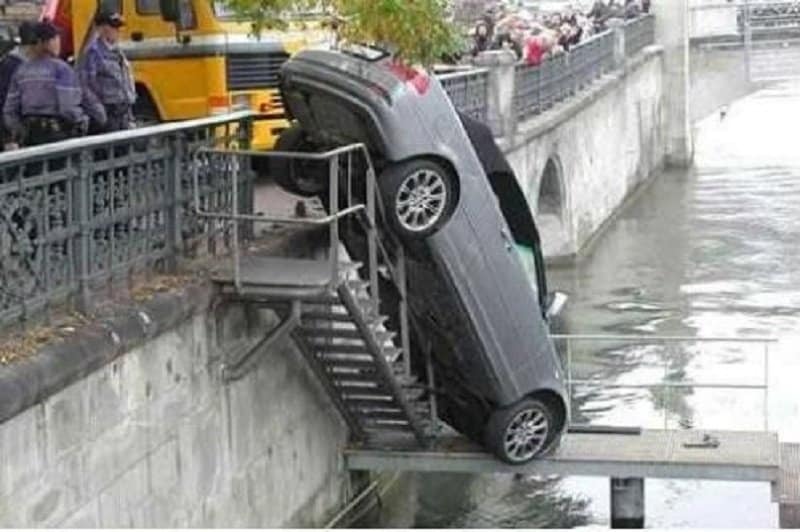 This list features 10 of the funniest driving fails around. 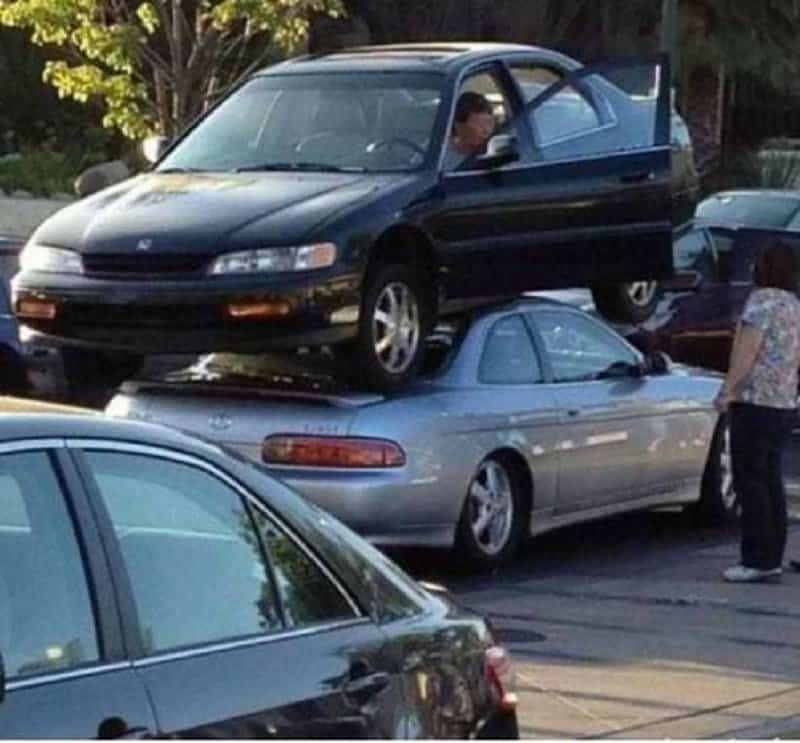 I have heard of double parking, but I am not sure it is supposed to work like this. It is good to get some exercise and take the stairs once in a while. Not sure it counts if you do that in a car though. 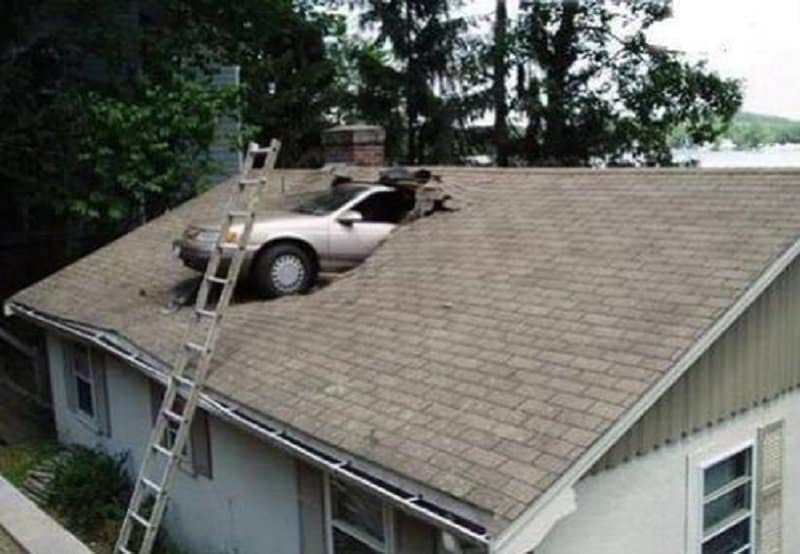 This house seems to have the strangest multi-level car parking in the world. 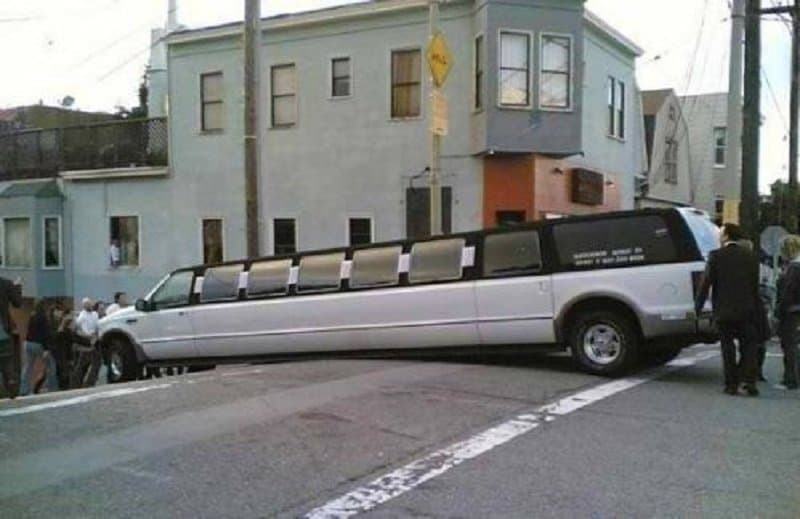 Taking a turn in a limo can be quite a pain. 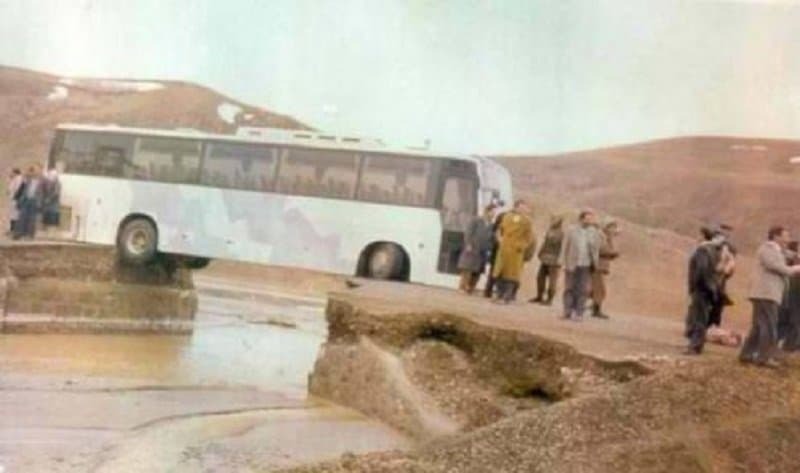 Just ask the driver from this photograph. Isn’t it annoying when you think you can make a jump and you just fall short! 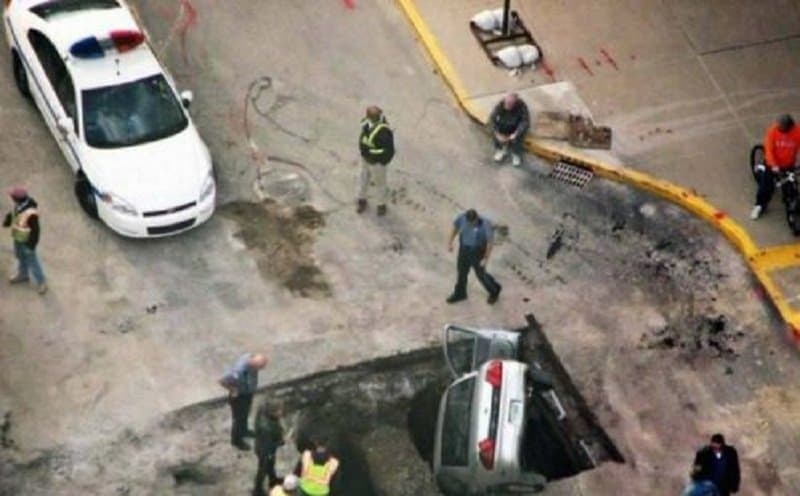 That is one mighty big hole to miss. 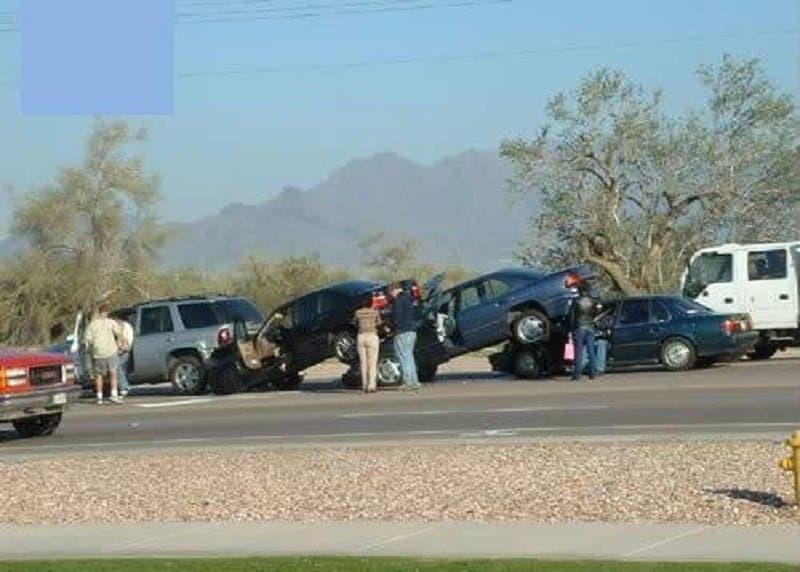 Classic case of texting and driving I suppose. On the highway, one mistake can set off a chain of horrible incidents. A lot of people had a bad day due to this one mistake. 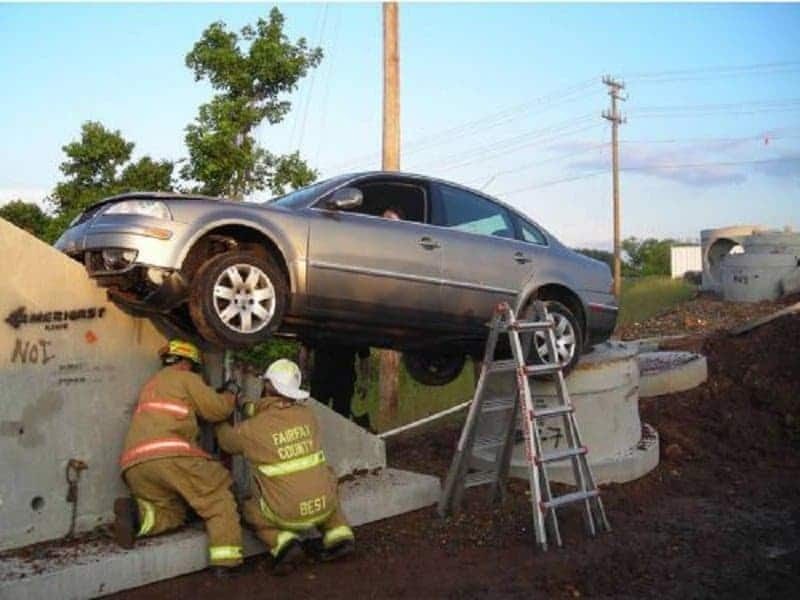 It is not easy to crash in such a unique way, but this person seems to be a pro at it. Your judgement of space can be a defining characteristic when you are driving. 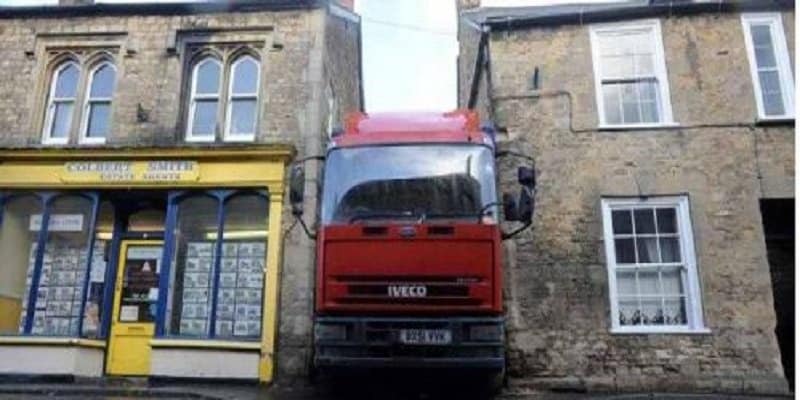 This truck driver needs a few more lessons in that area. 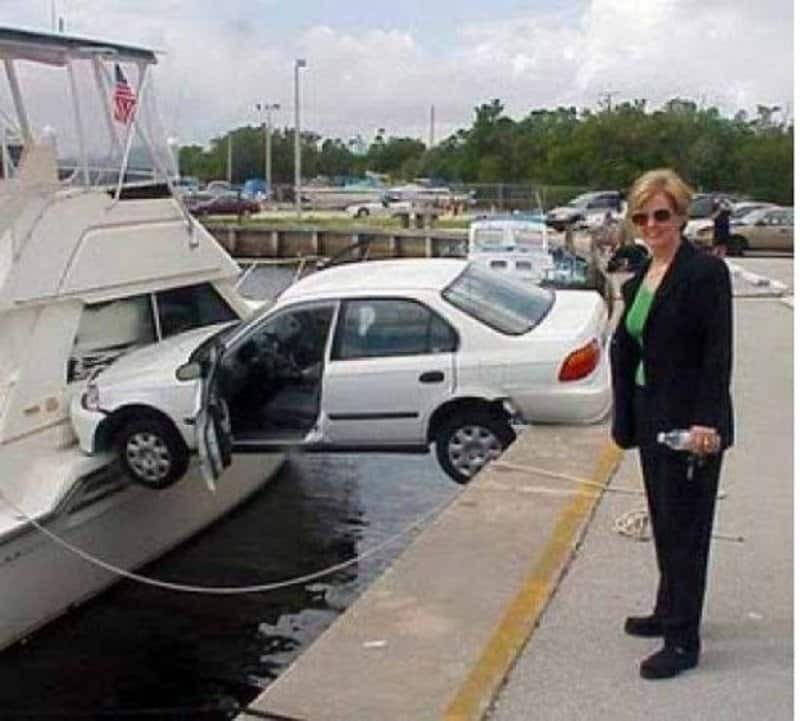 Now that is a picture of a road trip and a boat trip being ruined simultaneously.